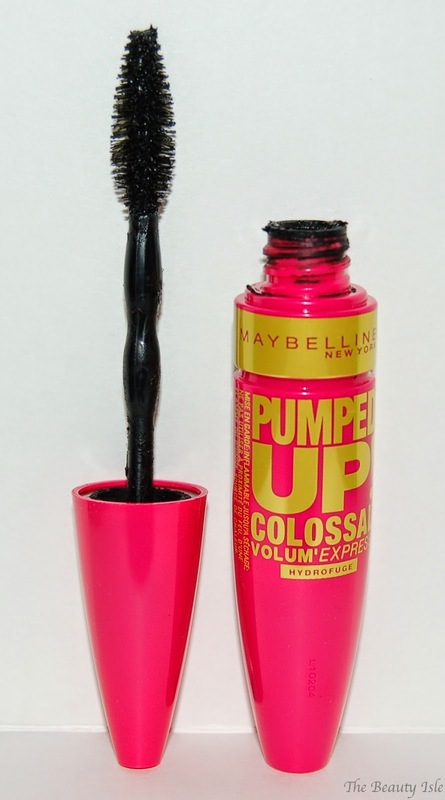 Today's Frugal Friday will be featuring the new Maybelline Volum' Express Pumped Up Colossal Mascara. This mascara retails for around $8 depending on the store. The packaging on this mascara is really pretty. It's a bright pinky coral color with yellow writing. According to Maybelline this mascara has a "double shot" brush which picks up extra formula which results in 12X more volume for your lashes. Yeah, sure. As you can see in the photo, the brush contains natural bristles and is very large, which I'm not a huge fan of. 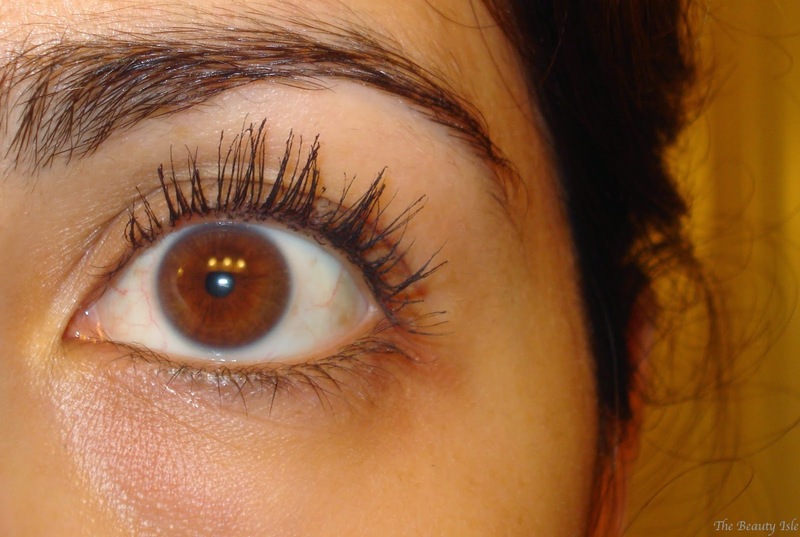 Here are some swatches of my lashes with 2-4 coats of this mascara. WOW, just WOW! 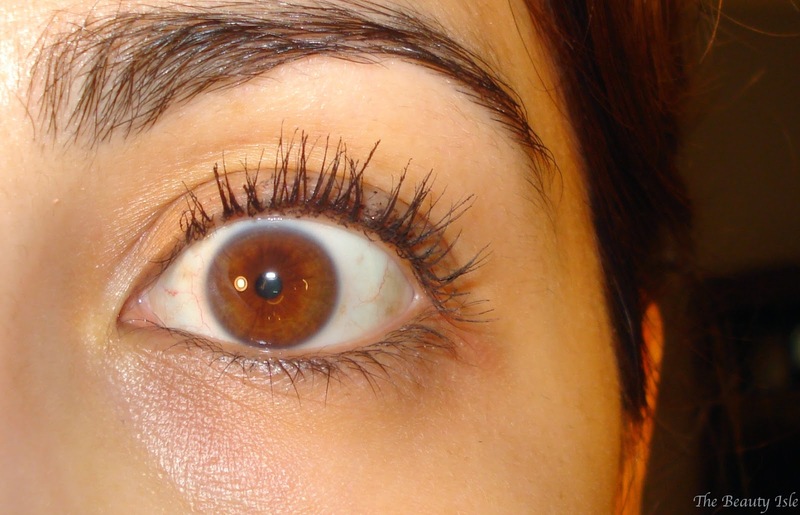 I love the Maybelline Pumped Up Colossal Mascara! I know I said that Cover Girl Clump Crusher was my fave drugstore mascara but this one now owns that title. It lengthens my lashes and also gives a good amount of volume. But my favorite quality in this mascara is it's ability to hold a curl. 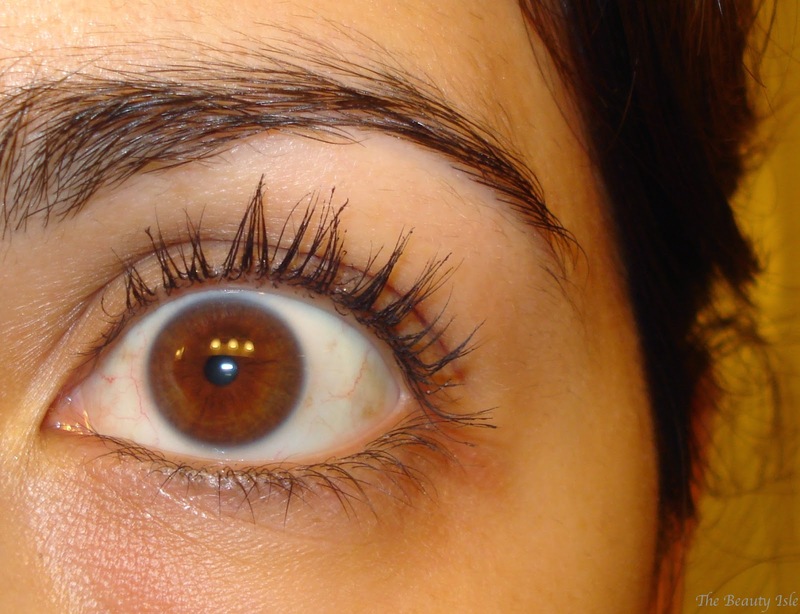 This mascara holds my curl like no other and makes me look so awake and bright eyed.